Numerous Slack contenders have already thrown their hats into the enterprise-messaging ring, but Flock is hoping to win with hard numbers. According to Flock, not only does its software load 2.5 times faster than Slack on both desktop and mobile devices, but it also helps teams achieve productivity gains of at least 30 percent. Originally launched in India roughly two years ago, the company announced its expansion into the U.S. market on Wednesday and revealed a customer list that includes big-name companies such as Whirlpool, Ricoh, Victorinox and Tim Horton’s. 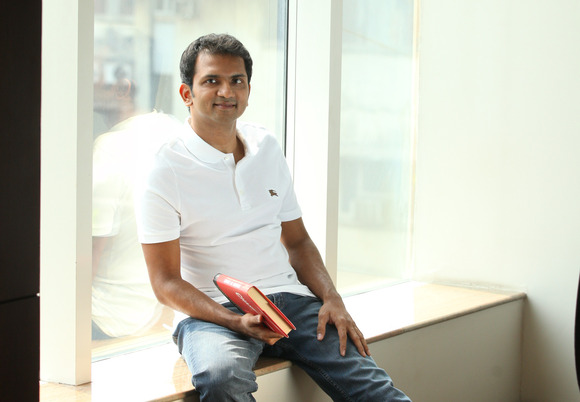 "This space has seen some considerable attention over the past year, but it's still nascent," said Flock founder and CEO Bhavin Turakhia in an interview last week. "Our objective is to be the No. 1 player." Too much workplace communication and collaboration still relies heavily on email and telephones, Turakhia said. There are team collaboration apps like Slack, of course, but Flock loads faster and offers a slicker interface and deeper app integration, he claimed, adding up to significant productivity gains for the teams that use it. "A lot of people find the Slack interface confusing," he said. A "magic search" feature in Flock automatically displays important groups and contacts without any need for typing. Also included are videoconferencing, group to-do lists and polling capabilities. In addition to sharing tools, easy-to-use task managers, and third-party plugins, Flock provides APIs and deep integration with apps and bots. An associated app store offers integration with Google Drive, GitHub, MailChimp and Trello, among many others. Now in version 2.0, Flock was recently updated with a feature called Teams on Flock that allows people to work together across different domains, offering the potential to connect organizations, teams, communities and projects. The software now boasts between 30,000 and 40,000 active users, Turakhia said. Those are mainly in the U.S. and India. Available for Windows and Mac as well as Android, iOS and the web, it's free for unlimited use, with upgrade plans starting at $3 per user, per month, for additional features. As cofounder and CEO of domain-name registrar and conglomerate Directi, of which Flock is a part, Turakhia is no newcomer to the tech world. Now with his sights set on team productivity, he's not daunted by Slack's head start. "Pretty much every business I've undertaken has had competition," he said. "We intend to make a sizable dent in this market."